Diatom. 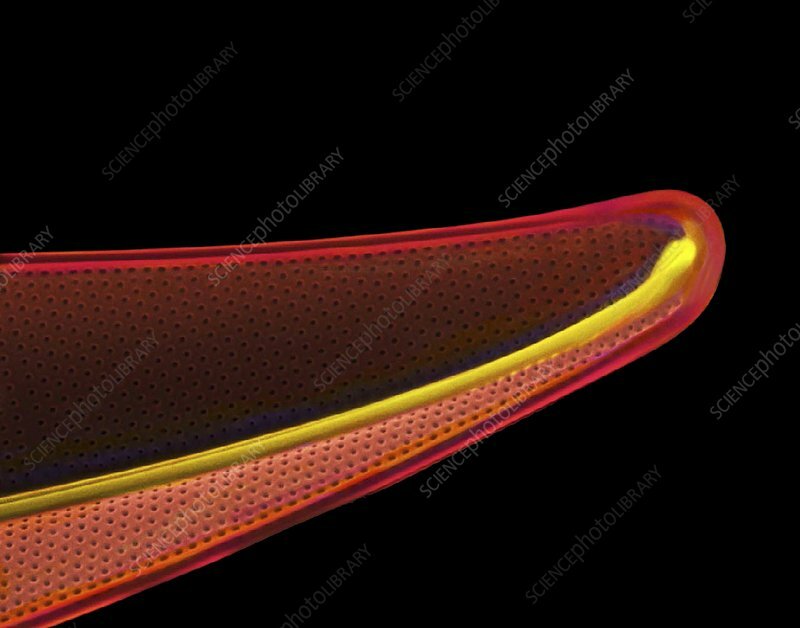 Coloured scanning electron micrograph (SEM) of a close-up of part of a diatom. Diatoms are a group of photosynthetic, single-celled algae containing about 10,000 species. They form an important part of the plankton at the base of the marine and freshwater food chains. Their characteristic feature is the intricately patterned, glass-like cell wall, or frustule, which often has rows of tiny holes, known as striae (seen here).